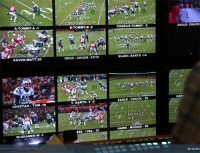 Based on Nielsen’s metered markets, Super Bowl 50 averaged a 49.0 rating, meaning that 49% of U.S. homes with TV sets had the game turned on. That is a remarkable number and no wonder advertisers are willing to spend big bucks for those eyeballs. These are some of the funniest ads to come out of this Super Bowl. The Marmot ad had me searching the internet and click on their web site just to find out what it was. It was the only one that got me to click their website. The Prius ad was clever and fun because it played against type and reversed the stereotypes. The dog Doritos ad was reminiscent of the Little Rascals, a TV series and feature film from long ago. Travis Braun won the Doritos Crash the Super Bowl contest for that ad. He and his collaborator Jacob Chase won a million dollars and a chance to work with a Hollywood director. The cube of rubic and Avocados from Mexico was just fun. But I have to say the Doritos Ultrasound Baby ad is hilarious. It was only a finalist in the contest, rather than winner of the Doritos Crash the Super Bowl contest, even though I think it is the funniest. For 10 years, Doritos’ “Crash the Super Bowl” contest offered anyone a chance to win $1 million and their own 30-second spot. But PepsiCo is shutting it down. While we do not expect to see another million dollar prize anytime soon, there are other video contests that pay. For example, NASA and the Houston Cinema Arts Society offer filmmakers a chance at a $10,000 prize for a video that features real NASA footage. For more information see http://cinespace16.org/.